Of President Donald Trump's frequent off-the-cuff remarks, Anthony Scaramucci said, "That's him wearing his heart on his sleeve." Anthony Scaramucci spent less than two weeks as the White House communications director. Here is a look at some of the most talked about moments during his short tenure at the White House. 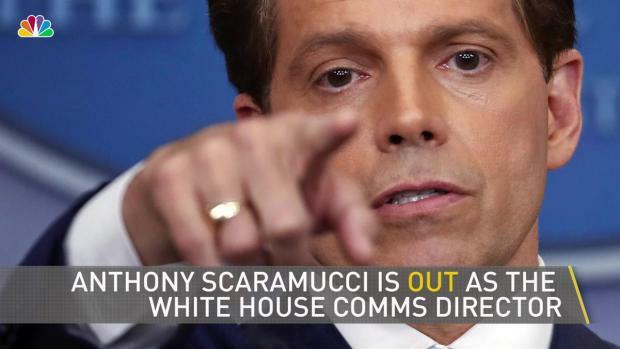 Short-lived White House communications director Anthony Scaramucci says if it were up to him, top adviser Steve Bannon would be gone from President Donald Trump's administration. "The Mooch," a few weeks removed from his spectacular flameout following an expletive-laden conversation with a reporter, appeared Monday on CBS' "Late Show" with Stephen Colbert. Colbert has seen his ratings soar since Trump's inauguration with his relentless comedic attacks. Anthony Scaramucci is no longer the White House communications director. The news broke Monday, July 31, just hours after President Donald Trump's new chief of staff, John Kelly, was sworn into office. He said he and Priebus got along well when he was writing checks to the Republican National Committee, which Priebus once led. 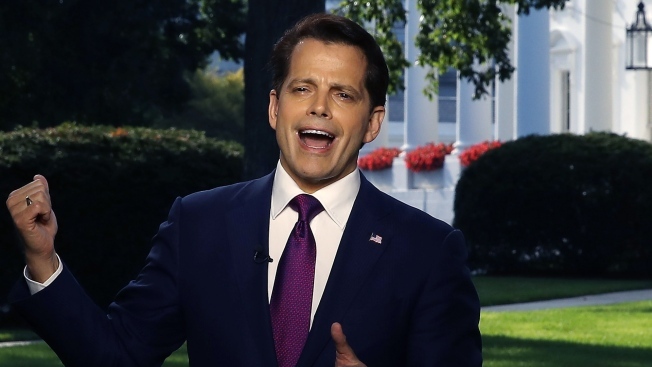 Scaramucci said he knows Trump "as a compassionate person," while reiterating that he thought the president should have spoken more harshly than he did initially of the white supremacists involved in the violent protest in Charlottesville, Virginia. Of Trump's frequent off-the-cuff remarks, Scaramucci said, "That's him wearing his heart on his sleeve."